Upcoming Events at PCBW Kids! The Sunday before Easter is Palm Sunday and a wonderful day for the kids who get to wave palm branches, just as they did when Jesus entered Jerusalem, as well as perform a fun song! Join us Easter Sunday to celebrate the resurrection of our Savior at 9:30 AM and 11 AM. Easter egg hunt to follow 9:30 service. We will be giving a special presentation with tips from experts on how to engage your kids with media while protecting them at the same time! May 1 in the River Room at 6:30 PM. Come at 6 for dinner served by Community Dinners. Welcome to PCBW Children’s Ministry. It is a privilege to share God’s big story with each child in a Christ-centered environment, and a joy to support you as their parents during these formative years of their spiritual journey. Our mission is to help children develop a strong foundation of faith that is scripturally based and culturally relevant through meaningful, engaging and fun programs. Partnering with parents is also an essential part of building children’s faith. We strive to offer helpful tools and resources through periodic parenting classes and take home materials you can use to build on what the children are being taught. Families can feel confident taking their infant through two-year old children into this loving, safe and nurturing environment. A wonderful team of nursery attendants cares for this youngest group of children. 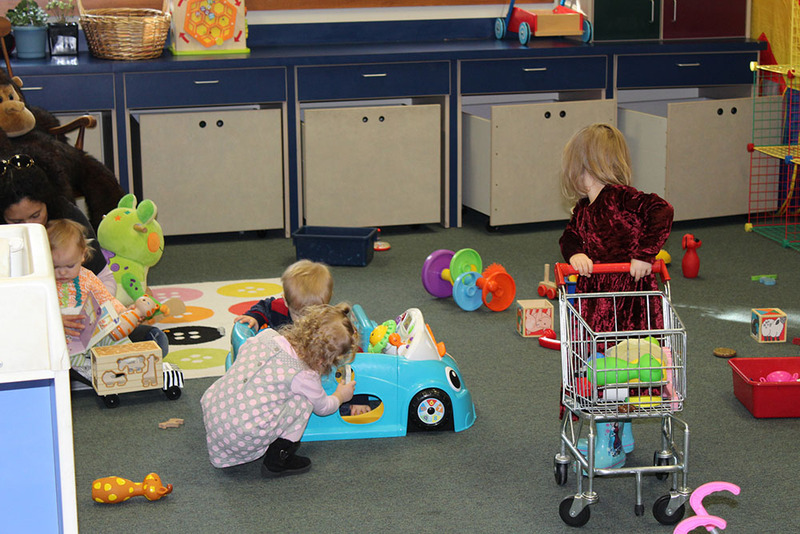 The room is filled with music, toys and everything to delight infants and toddlers. This age-graded, weekly learning environment is filled with creative Bible lessons, music, interactive games, activities and discussions. Come join us each Sunday morning at 9:30 service as we dig in to the Life of Jesus! 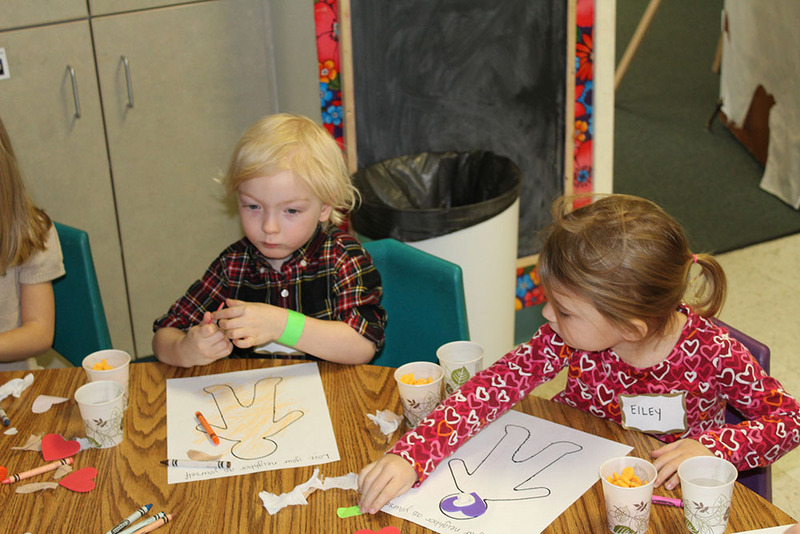 These children experience their first look at God through Bible stories, games and activities that involve all their senses. The emphasis is on their learning that God made me, God loves me, and Jesus wants to be my friend forever. 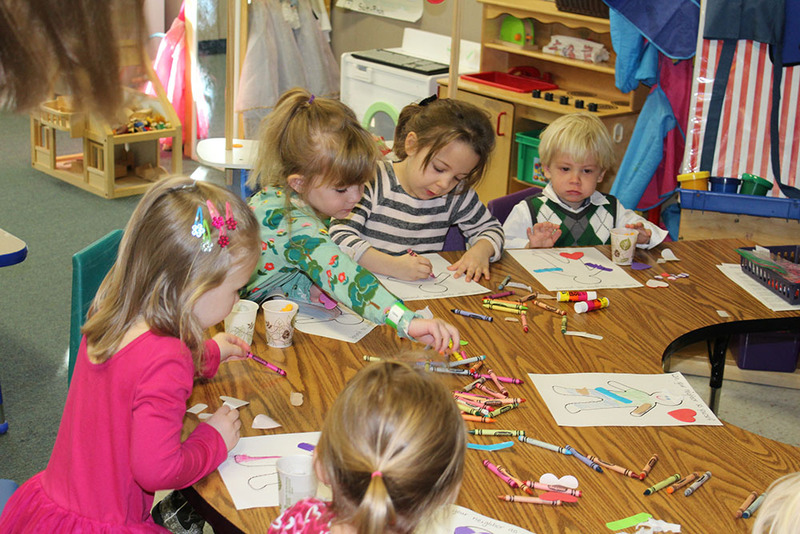 Children are involved in a dynamic large group setting for an interactive Bible Lesson, followed by transition into small groups for age-appropriate discussions, activities and games. We want each child: to know that God loves them no matter what, to treat others how they want to be treated and to learn to make the wise choice. Join us on Tuesday evenings from 6:00-7:30 PM for games, snacks, a great message and more! Bus transportation available to and from Hailey, if needed. Pick-up at 5:45 PM and drop-off at 7:45 PM at Albertsons. Contact Sarah Jones for information 208.622.0548; sarahjones@pcbw.org.